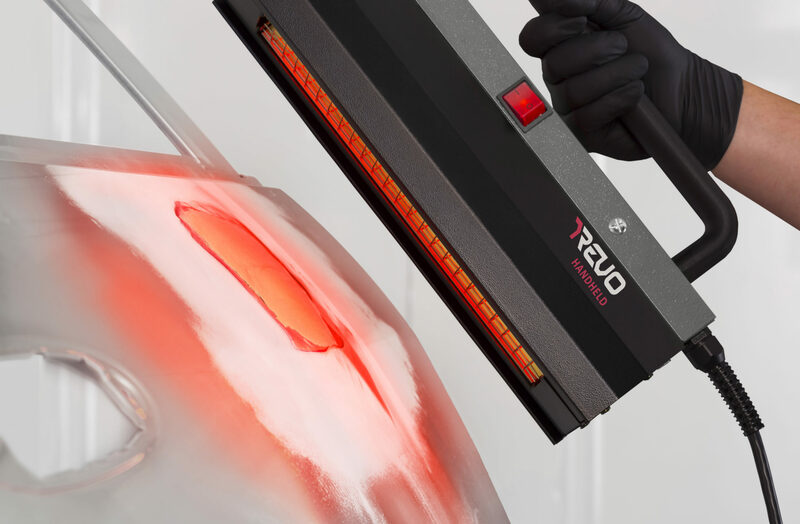 A common criticism we’ve received since introducing the REVO Accelerated Curing System in 2014 is that this is old technology which quickly ends up in shop storage. 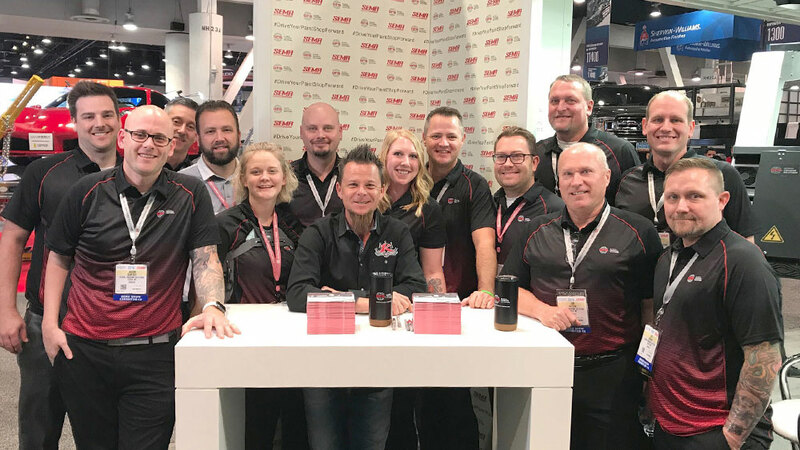 It is true that this is old technology — it’s been around since the 1940s and was adapted for use in collision repair shops in the late ‘80s — but thanks to careful refinement throughout the years, REVO Systems are much more efficient than the old infrared systems long associated with the technology. REVO Systems provide high quality results within a shop’s current footprint, while also increasing paint shop throughput. It is easy to think it sounds too good to be true, but a look into the technology will provide a clear picture of how REVO Systems accomplish this feat. When talking about infrared curing technology, there are gas catalytic and electric systems. While there are benefits to be found with both over conventional systems, the way they generate and utilize IR heat sets one above the other. Gas-powered IR technology uses the flow of natural gas to a catalytic ceramic plate, where gas is forced through small holes that break the bonds in the natural gas molecules. When oxygen is added, transformed natural gas molecules generate the heat. The IR heat created from this reaction is mostly medium wave, with some long wave. Since the heat created is mostly medium wave, each layer of coating needs to be cured individually. In addition, gas catalytic IR must be preheated to 200 degrees Fahrenheit, which takes about 10 minutes. Because of this, shops commonly keep the unit on all day, incurring additional costs and creating a potential safety hazard to workers. 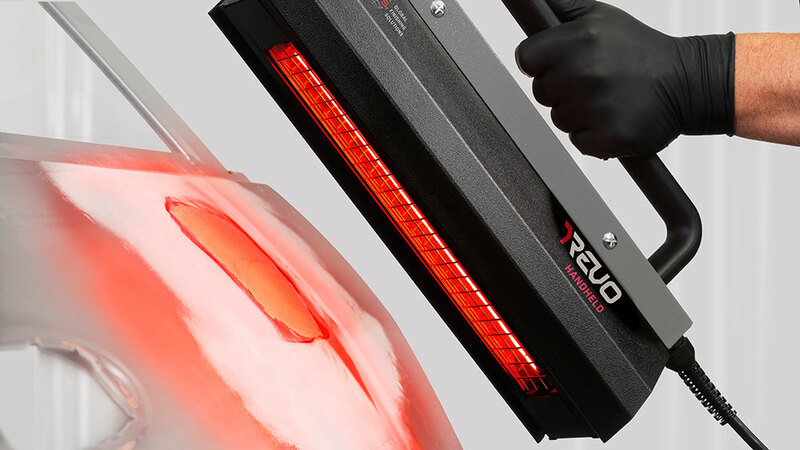 REVO Accelerated Curing Systems, on the other hand, use short-wave electric IR technology. This is generated by sending an electrical current to a tungsten filament, which then produces mostly short wave energy (tests indicate 80 percent of the energy emitted is short wave, with some medium waves as well). That short wave energy is able to penetrate multiple layers of coating to heat the substrate beneath. Unlike gas catalytic IR in which each layer must be cured individually, REVO Systems allow for up to three coats to be cured with one pass. And where gas catalytic IR systems take time to preheat, the electric IR technology of REVO Systems reaches curing temperature almost instantly. All of that scientific jargon is meaningless if it doesn’t perform in the shop. REVO Systems are best fit for 75-80 percent of the repairs a shop performs and can increase paint shop throughput by up to 80 percent. By taking advantage of the extremely efficient short-wave electric IR’s heat absorption technique described above, shops can cut both power consumption and cycle time. 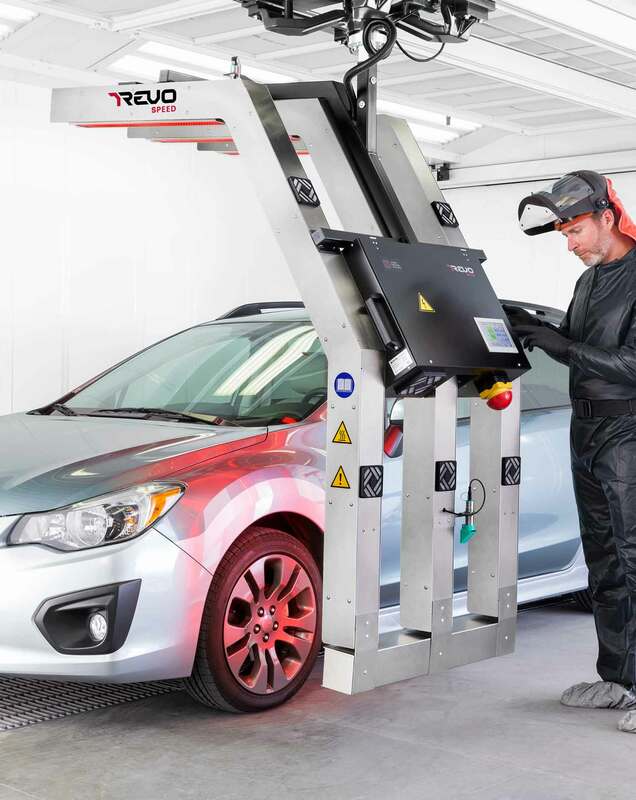 With REVO Systems, curing time for both the prep and paint phases of repair can be reduced by hours. This is achieved by curing coatings from the inside out in one pass. Where in a conventional shop a technician would feel rushed and not let the product thoroughly cure, REVO Systems eliminate that problem by completely curing the filler and primer quickly and completely, thus eliminating rework and decreasing the amount of buffing needed. Other systems can be tricky to operate: with natural gas, the nature of the gas causes inconsistencies in curing the area of repair. Operators need to be trained to compensate for these differences. In addition, adjusting gas pressure can be difficult, making controlling the temperature especially challenging. Once you’ve mastered those issues, don’t forget these systems raise the temperature beyond the area where the heat is directed, meaning you need to mask plastic components near the repair site. Considering all of this, it is understandable why some shops find these systems unproductive. Whereas other systems require compensating for heat difference on catalytic plates, REVO Systems’ electric IR energy comes from bulbs which provide consistent heat. The heat can also be emitted from 0 to 100 percent capability depending on your needs. Because REVO Systems generate mostly short waves, which heat the substrate more efficiently, higher heat is produced in a shorter amount of time. Unlike the system that requires special masking of plastic components, REVO Systems only require traditional masking paper on plastic components. This is possible because the short waves generated are blocked by the paper. 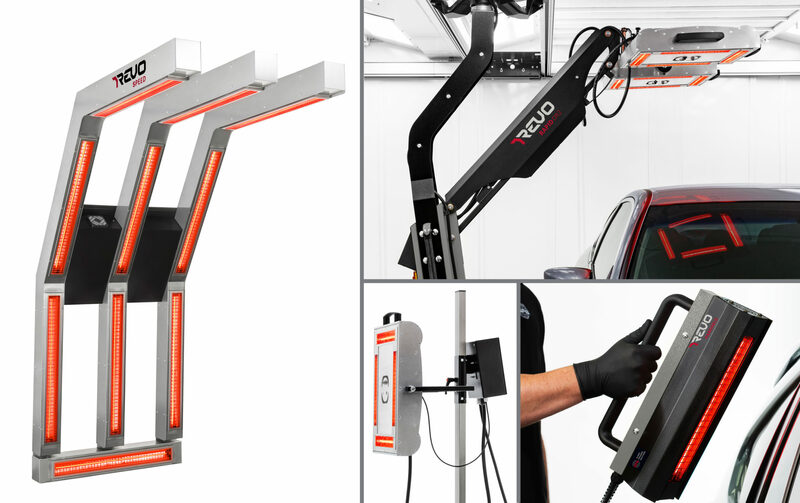 With multiple models ranging from handheld units for fast spot repairs to a rail-mounted semi-automatic unit for body shops performing a large volume of repairs, there is a REVO System for every shop. 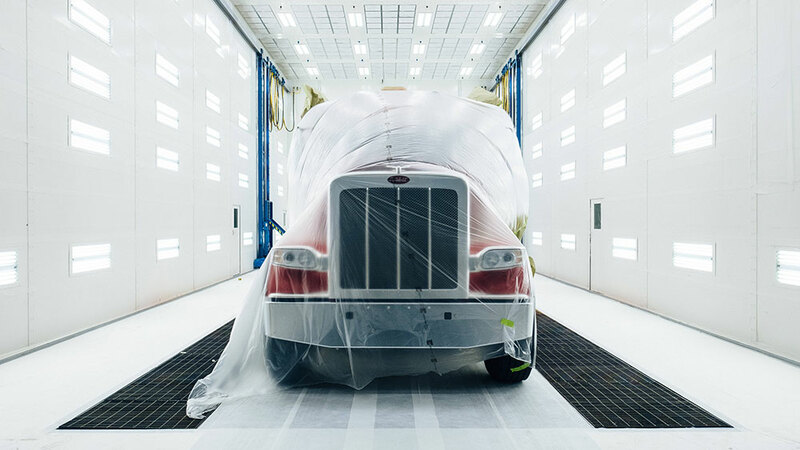 You also won’t need to change your technique: unlike other systems, REVO Systems tailor the curing process to whatever specs exist from the paint manufacturer and can easily be updated. 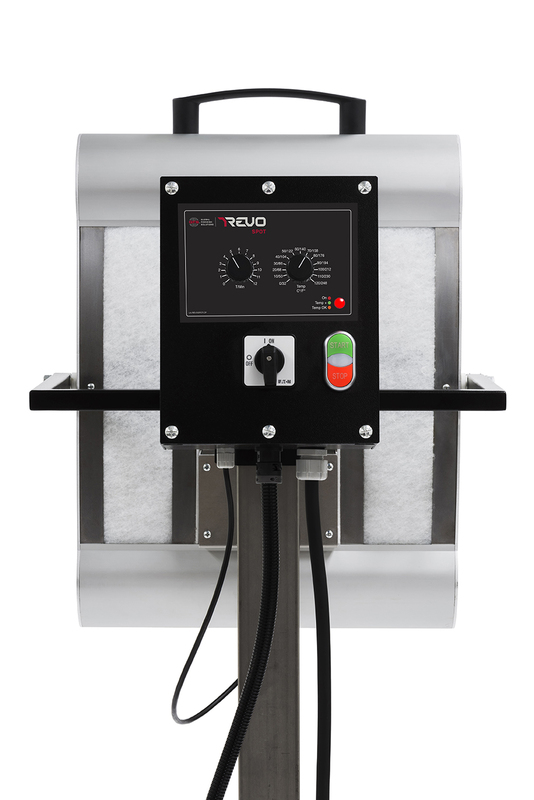 Each of the REVO System models offer a flexible curing solution without the need to overhaul your shop space. True to its name, REVO Handheld is a portable unit which can be carried throughout the shop for applications like spot repairs, windshield removal, aluminum repair and dent removal. The REVO Spot and REVO Rapid MC units are mounted on mobile carts that can be easily moved into virtually any area of a shop; REVO Rapid is especially versatile as both cassettes move independently for easy positioning. 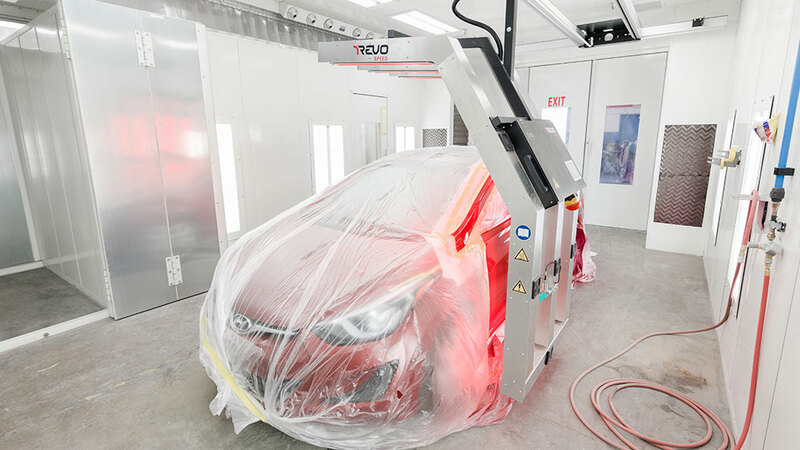 Inside the booth, REVO Speed and REVO Rapid OR units shine: both can be integrated into the paint booth or prep area for convenient, quick positioning. 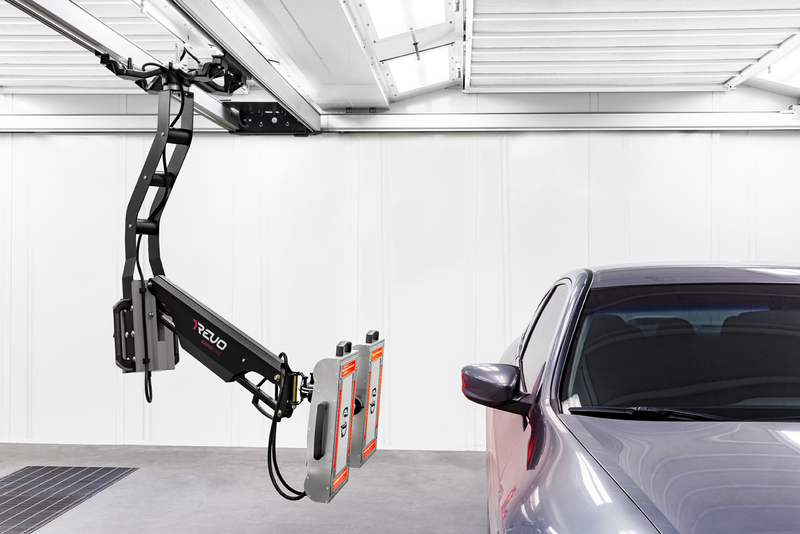 To protect the REVO Speed and REVO Rapid OR units from damage or overspray, we’ve designed a Parking Garage to house the system during spraying. REVO Systems have intuitive, smart controls, so you won’t have to worry about undercuring or overcuring. The REVO Rapid and REVO Speed units, for example, have a touch screen interface and sonars designed with ease of use in mind. A technician only needs to select the type of material being cured, and the shade of the color. The build-in sonars indicate where to position the unit in relation to the panel and it will automatically run through the cure cycle and stop when it’s done. The units also have temperature probes to protect against overheating. Adding to the convenience of the REVO Rapid, the premium OR2 and MC2 models feature dual sensors to cure two different substrates at the same time. The intensity of the lamps on each cassette adjusts based on the substrate being cured. 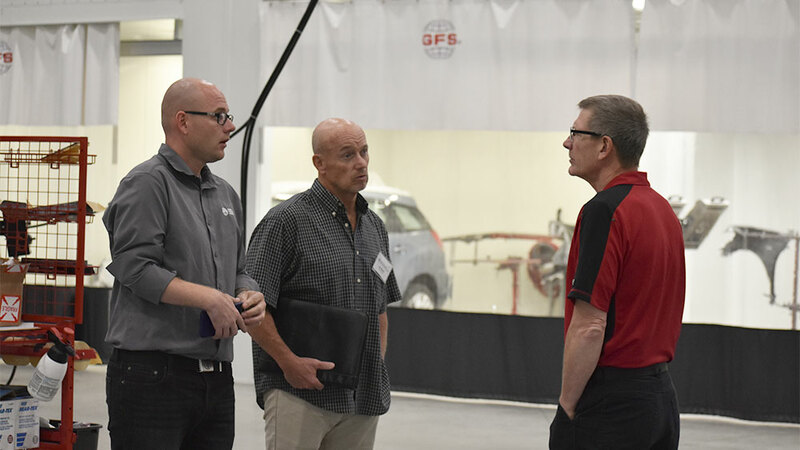 In addition to saving time and improving results, REVO Systems are backed by the expert reliability, service and support you’ve come to expect from GFS. 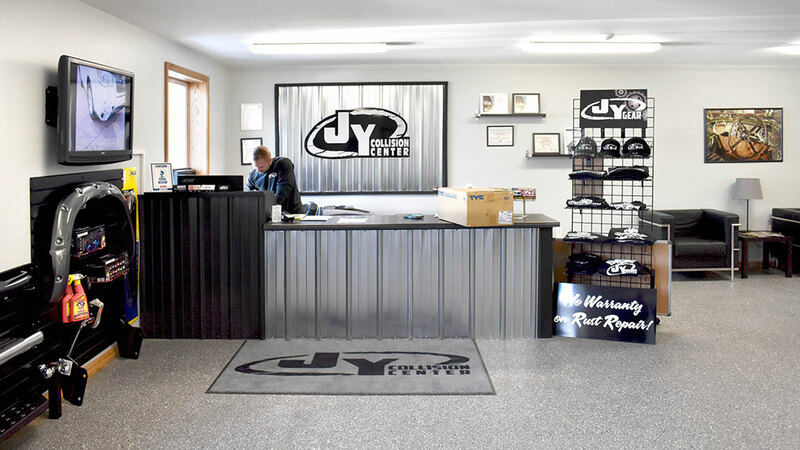 We offer free training for REVO Speed units, and we also spend time with painters and technicians to understand their shop’s particular preferences and deliver the highest quality results. We are also excited to soon be offering training and demo opportunities at our new Center for Excellence Training Facility. And while REVO Systems are very easy to maintain, we also offer a maintenance program for ease of mind. But don’t take our word for it, contact us today at 877-658-7900 to arrange a demonstration. For more information about REVO Systems, visit www.gfsrevo.com.